Goosfest 2018 is over – but planning for next year’s festival has already begun! There was also a range of workshops, including jewellery-making, photography, memoir-writing and sourdough baking. Children enjoyed an afternoon of Pirate activity, and village performers put on two ‘Cole Porter’ lunches at The Swettenham Arms. Goostrey went to Spain for an evening of Spanish food, song and flamenco dancing, and there was a series of lectures covering local history and the development of the SKA headquarters at Jodrell Bank. An organ recital in Goostrey Church, and a fascinating presentation by explorer Benedict Allen, rounded off more than two weeks of Goosfest events. Now it’s your chance to contribute to future success. What would you like to see in next year’s or further festival programmes? Please email your suggestions – plus any comments on this year’s events – to info@goosfest.com. Goosfest Chairman Bill Ollier said: “Every year, we try to put together a varied programme – something for everyone, we hope. But we’re always open to new ideas or suggestions for who we might ask to perform. We’re a not-for-profit organisation, so we obviously have a limit to the fees we can pay for acts, but we try to get the best possible quality of entertainment within the budgets we manage. So, if anyone has an idea for entertainment, a lecture or a workshop, then please get in touch quickly, as we aim to have next year’s schedule mapped out by Christmas. Goosfest, held every October, is organised by a group of local volunteers. If you would like to be involved – either by joining the Goosfest committee or by simply volunteering to help with needs such as event set-up, the bar rota, leafletting etc – then again, please email info@goosfest.com. To look at photos from this year’s Goosfest, please visit www.goosfest.com. Goosfest sales are soaring – book your tickets quickly before any further events sell out! Tickets for this year’s Goosfest are selling fast – and extra events have been added to meet demand. Festival organisers are urging anyone who hasn’t yet booked, to do so quickly before any further evenings sell out. The annual festival of music and arts is held every October in Goostrey, and this year’s schedule opens on October 5th with a concert by internationally renowned saxophonist Snake Davis and his five-piece band. From then, Goosfest ‘18 now continues over three weeks with the addition of three extra sourdough bread-making workshops at Roberts Bakery. This year saw the launch of a new website – www.goosfest.com – which prompted a flurry of sales, from as far afield as the North Wales coast. Now that the box office is open as well, ticket sales to date have exceeded all expectations, and Goosfest organisers anticipate that this year’s festival will be a resounding success. Certain events, such as an evening of comedy by veteran broadcasters Barry Cryer and Colin Sell, and the ‘Goostrey Goes to Spain’ night, have already sold out and there are waiting lists. 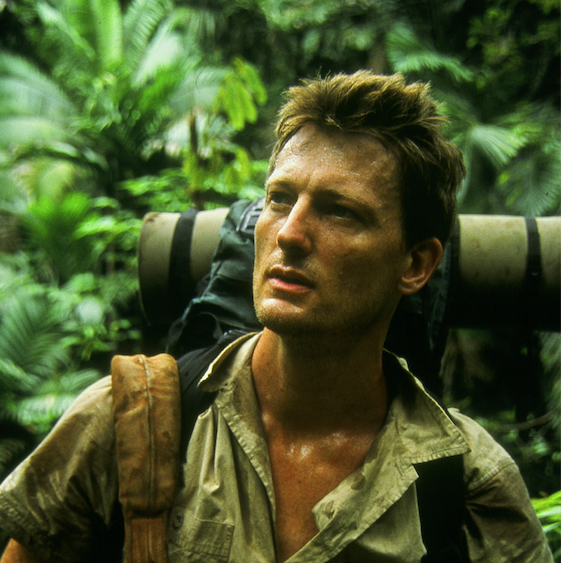 There are still a few tickets available for the joint evening with The Royal Geographical Society-IBG featuring intrepid explorer Benedict Allen; a 1960’s night by The Revolvers; a concert by iconic Liverpool band The Christians, and a Country & Western night featuring up-and-coming Nashville-style singer Jeannine Barry and her band. In addition, there are tickets for The Hope Wind Ensemble on Sunday evening, October 14th, and also for Goosfest’s tribute to the 100th anniversary of the ending of The Great War, a performance of ‘Standing in Line,’ on Wednesday, October 10th. This is an evening of songs, readings and images, commissioned by ‘Peace Concerts Passchendaele’ and first performed in the church in Passchendaele, Belgium. For children, there’s an afternoon of pirate mayhem on Sunday October 14th, featuring the same duo who presented last year’s festival favourite, ‘Scary Science’. This interactive show features pirate songs, stories and games, with tea, soft drinks and cakes available throughout. Now in its 11th year, Goosfest began as a folk weekend and has since grown into a packed two-week festival with fringe events held over a range of different venues local to Goostrey. Festival organisers have just arranged an extra Swettenham Arms lunch, with entertainment ‘What a Swell Party – The Life and Music of Cole Porter’. The first ‘musical lunch’ on Tuesday October 9th quickly sold out, so a second has been arranged for the day before, Monday October 8th. Anyone who wants to buy Goosfest tickets is advised to check the website for availability and book online. Alternatively, please call the Box Office – 01477 765016. Goosfest 17 Friday 6th October to Saturday 21st October 2017. 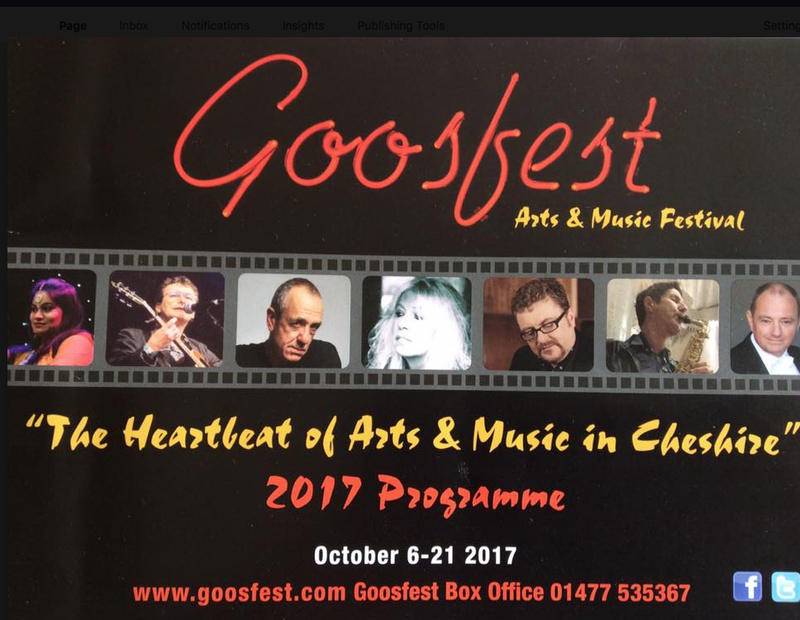 The following list gives dates and ticket prices for the Goosfest 17 Programme. To book advance tickets or more detailed information please click to the Goosfest Website. Knitting workshop – 10.00 a.m. to 12.30 p.m. – tickets £25.00 (limited to 6) – CANCELLED . Crochet workshop – 10.00 a.m. to 12.30 p.m. – tickets £25.00 (limited to 6) – CANCELLED.